This site is currently being rebuilt. Some of the old data remains and I am still adding new posts. I’ll be trying to restore some of the older posts as time permits so please check back. 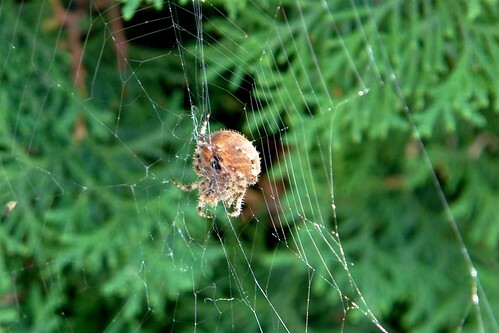 Jewel spider, originally uploaded by t6hawk. An older picture but still relevant as these spiders are appearing more this time of year. They are common in the Edmonton area and are harmless to humans. They are very useful and skilled at taking care of the mosquito problem though. Decided to test out the HD video capabilities of my new Canon SX240 HS on a subject who was more than willing to volunteer for the job. It was amazing to see how tame this magpie was to let me stay about 2ft away from him. It was originally in 1080p24 but my older copy of iMovie exports as 720p. Normally magpies will not let people close enough to hear the wide range of vocalizations they make. Typically you’d only hear their screeching but up close they sound a lot different. SX240 HS Color Test – Green, originally uploaded by t6hawk. Testing out the color selection on my new camera. 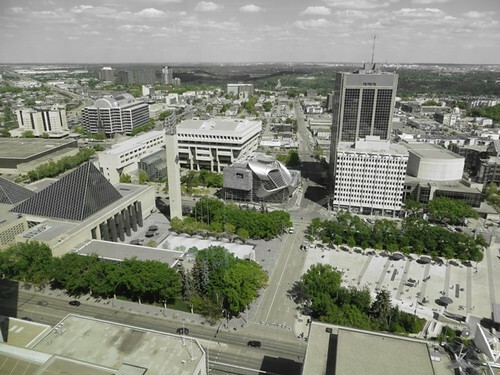 This is the view of Churchill Square, City Hall and the eastern part of downtown. I like the way this one turned out. Canon cameras seem to really favor greens even in regular photo modes. Calgary Comic and Entertainment Expo 2012, a set on Flickr. Various photos from the Calgary Comic and Entertainment Expo 2012. There were so many amazing panels and costumes there and of course the full cast of Star Trek: The Next Generation. Sir Patrick Stewart had some really interesting things to say in his panel. Toothless, originally uploaded by t6hawk. Found Toothless from How to Train Your Dragon at CCEE. The kids went crazy when they saw Toothless and there were some adults that had similar reactions. There were no shortage of photo ops for the fans. 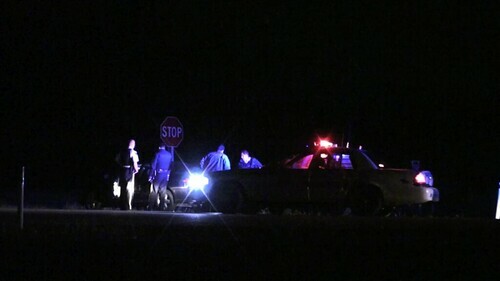 End of a high speed chase, originally uploaded by t6hawk. Quick snapshot of the police surrounding the dark sedan that was trying to get away. This was my first time witnessing a high speed chase in person. Not sure where it started but it was headed eastbound on Wye Rd / Hwy 630 and ended in Lindbrook where Hwy 630 intersects Twp Rd 512. It was just after 3am around Range Rd 210 that 4 RCMP vehicles chased a dark sedan eastbound past the car I was traveling in. We turned around to see what was going on and found the chase had ended in Lindbrook by the time we caught up. Published again! Cover shot too 🙂, originally uploaded by t6hawk. Got another of my photos published recently. 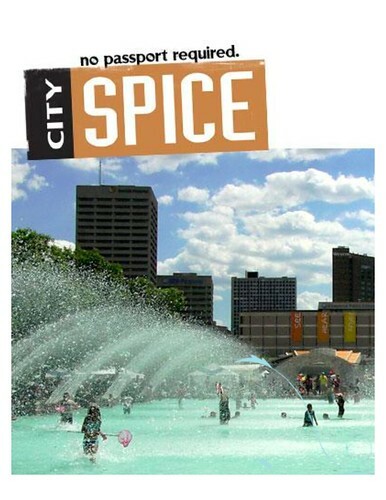 This time on the cover of Travel Alberta’s City Spice magazine. The photo used was taken at the pool in front of Edmonton’s City Hall back in 2006. Flat on it’s side., originally uploaded by t6hawk. Preparing the SUV, originally uploaded by t6hawk. This morning there was a car accident near my house. 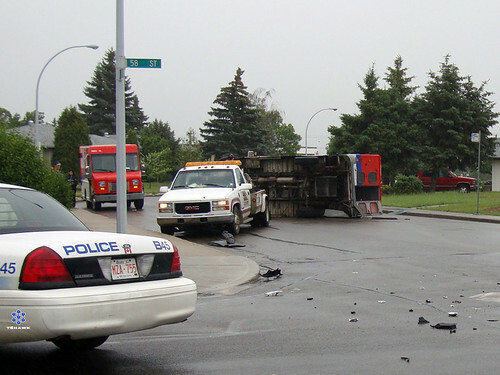 A Lincoln MKX ran a stop sign heading north and clipped the back end of a Canada Post van causing it to flip on it’s side. The Canada Post employee that was driving the van escaped with minor injuries according to the Canada Post supervisor I spoke to. No one from the SUV was injured. This intersection has been a problem for years. 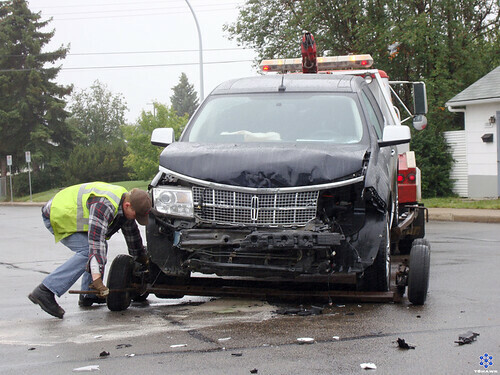 There have been so many accidents caused by drivers not paying attention and running the stop signs. This was the first I’ve witnessed where a vehicle has ended up on its side though. 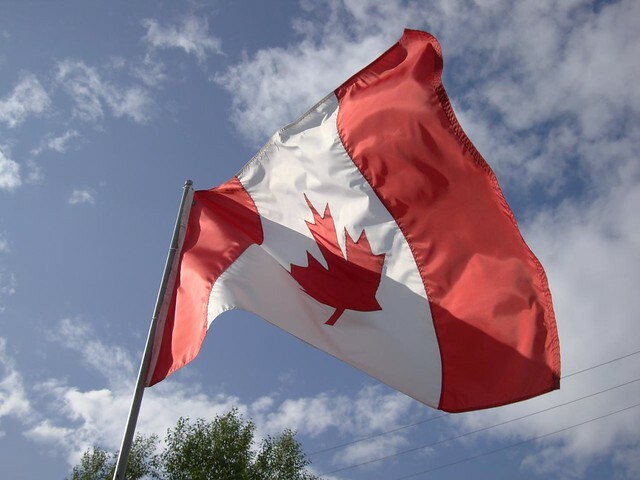 Happy Canada Day!! !, originally uploaded by t6hawk.